A volunteer shares her experiences serving at an orphanage we are constructing in Haiti. Surveys taken in Mozambique reveal people whom God loves and need help. 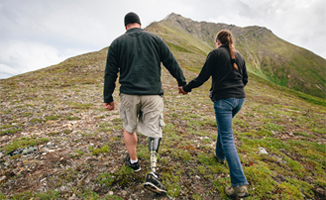 Time at Samaritan Lodge Alaska helps a couple grow closer to each other and to God. 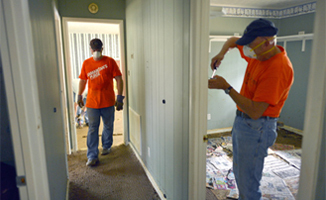 Samaritan's Purse brings emergency relief and the assurance of God's love to families affected by flooding in Tennessee. Operation Christmas Child makes inroads for the Gospel in communities all over Nepal. Click here to order materials and start packing your shoe boxes! 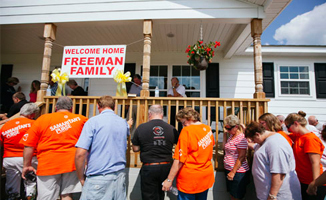 Samaritan's Purse completes a rebuilding project by dedicating the last two homes our volunteers constructed in Bertie County, North Carolina.